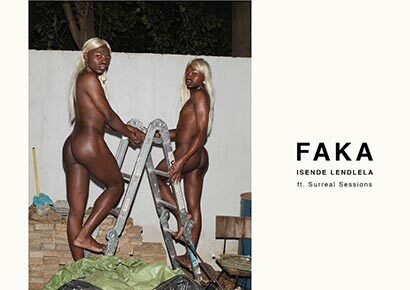 South Africa’s international music queer duo, FAKA, saw themselves attending the 2019 Versace Summer Spring fashion show in Milan about two weeks ago. Their track, Uyangikhumbula, played as the models, including Kendall Jenner, showed off the luxury label’s latest collection. 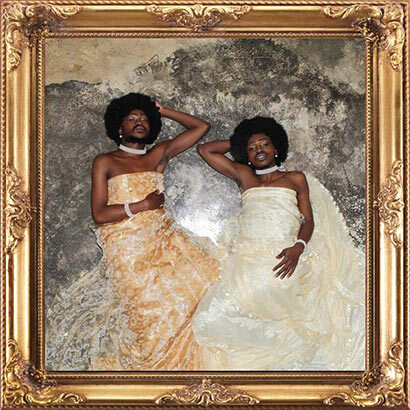 Desire Marea and Fela Gucci, the two members of the group spoke to Mambaonline on how this exclusive invitation came about, and the challenges of LGBTI+ representation in South Africa’s mainstream media. 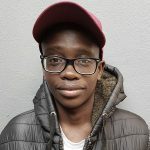 People from the Versace team set us up, after they had been instructed by Donatella to invite us to the show and also to use our music for the official runway show. This was two Wednesdays ago, and the show was on Saturday. We thought we were not going to meet her because we had a lot of shows, but because it was Donatella Versace, she booked us a private jet [to meet with her]. The duo describe FAKA as a group that focuses on diversity in the field of arts; from performing arts to music. They also see themselves as an archival subject for black queer bodies on a local and global scale. The group was formed in 2015 to express their ideas about themes related to their experience as black queer bodies, navigating in a very heteronormative society. If we were to compare FAKA’s success locally (in South Africa) and internationally, one can conclude that you are not so big in South Africa’s mainstream entertainment industry. Why do you think that is? It’s definitely homophobia and queerphobia [but at the same time] there are times when we people say we don’t get media coverage, but I think there are instances where we do get media coverage. We have been featured in Cosmopolitan [for instance]. This is something the mainstream has never embraced before. The duo have been in Germany for the last three months, performing at gigs and showcasing South Africa’s queer talent abroad. How often were you guys booked in South Africa for gigs? Maybe twice a year? Our last gig in South Africa this year was in March. All these festivals never book us and we don’t know why. There are so many festivals, like OppiKoppi, Rocking The Daisies, Loerie and there was Afropunk, but none of them ever booked us. You’re also not going to approach them. It is also very important for us to maintain our thing and you as the curator should know what you want. Or maybe they fear that our performance will shock a lot of [non-progressive] people. Did the festivals you were booked at in South Africa at least pay? Yes some did. For instance, the We Are One Festival that was organised by a group of young black queer people. They had an amazing lineup of underground artists. They treated us better than any other brand has treated us. The fee is not as great, compared to performing here [Europe], and we don’t really know why. Taking into account the poor support that artists like you receive in South Africa, do you think our industry is making slow progress, if any, when it comes to queer representation and visibility? It depends what you define as progress or what you think it is. If you look at people like Somizi and Lasizwe, they are hypervisible in the mainstream. But they sort of play into the narrative that gay men, specifically, should be a caricature for comic relief. We’re trying to subvert that. Our work is not a representation or an idea people have been exposed to. So to answer your question, it can go either way. Yes there is progress because there are queer people in the mainstream discourse and no, because there is no diversity. Speaking on diversity, do you think that South Africa will ever get to the point where we portray the diversity of the LGBTI+ community? Definitely. It’s going to dawn on people very quickly. Look at what queer people are doing right now, pushing the narrative. We see South Africa leading in that narrative, even on a global scale. Once the narrative has been fully pushed, South Africa really won’t have a choice. If you guys had a choice to permanently relocate, would you consider that? We definitely love South Africa. It is a difficult place to navigate sometimes but it’s home. 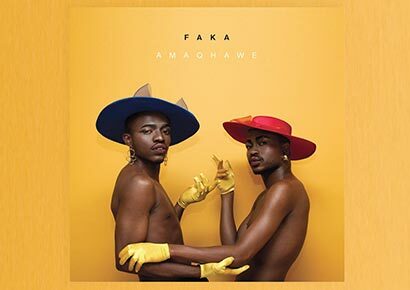 With only two weeks left of their Europe Tour, FAKA said their South African audience can look forward to a new music video they are dropping in the next two months as well performance dates for December.